I have inherited farmland. I subsequently find that this land falls under the regime of the conversion of private agricultural property through socialism in Bulgaria, that is, it was cooperative. My successor was a private landowner who, after the adoption of the Labor Landed Property Act in 1946 (repealed in 1997), was nationalized, expropriated in favor of the state I have a current certificate of heirs. The question arises - how do I restore my right to property? The Law on the Ownership and Use of Agricultural Land (LPAI), adopted in 1991, allows citizens to restore their private ownership of agricultural land. 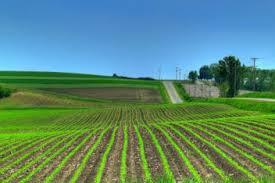 Thus, the former owners can restore in full the ownership of the agricultural land they own. In whose favor is the right to property restored? The persons in favor of whom the right to property is restored are the former owners or their heirs of the agricultural land they held before the formation of labor-intensive agricultural holdings or state-owned farms (cooperative farms). How is a property right certified? other written evidence under the 1946 Labor Force Property Act and the Regulations for its Application. Important! By written declarations and testimonies I can not prove my right to property on agricultural land. Who is the competent court to deal with the case? I have to file my claim to the district court on the location of the agricultural land. If the price of the claim exceeds BGN 50,000, then the competent court that will examine the case is the respective District Court. I can appeal the court's decision within 14 days before the relevant district or appellate court. (If at first instance the case is dealt with by a district court, the second instance will be a district court, and if the district court is the first instance, then the appellate court will be the appellate court). It is important to know that the decision of the second instance is also subject to appeal to the Supreme Court of Cassation. I have to file the complaint through the court that delivered the decision within one month. In what limits will my property be restored? The court's decision restores the right to ownership of agricultural land within their old real boundaries and, where they do not exist, within new boundaries according to the land division plan. In the case that my land can not be restored in real terms, I have to get compensation with equivalent land from the state or municipal land fund or with nominal com- pensation vouchers. Entry into possession - how does it happen? The final phase of ownership restoration is my ownership of the property. It is carried out by an official from the municipal agricultural office. I need to be present, b.c. I am an owner, but I can also authorize another person to represent me. A protocol is drawn up. It is good to know that as owner or user of agricultural land I have to submit a declaration according to a model in a municipal office where the property is located, indicating the form of management and the way of using the land. The Municipal Office of Agriculture keeps a register of the owners and users of agricultural land declared in the town hall or in the building of the respective municipal agricultural office.